Is Rubber Mulch Safe for Plants? 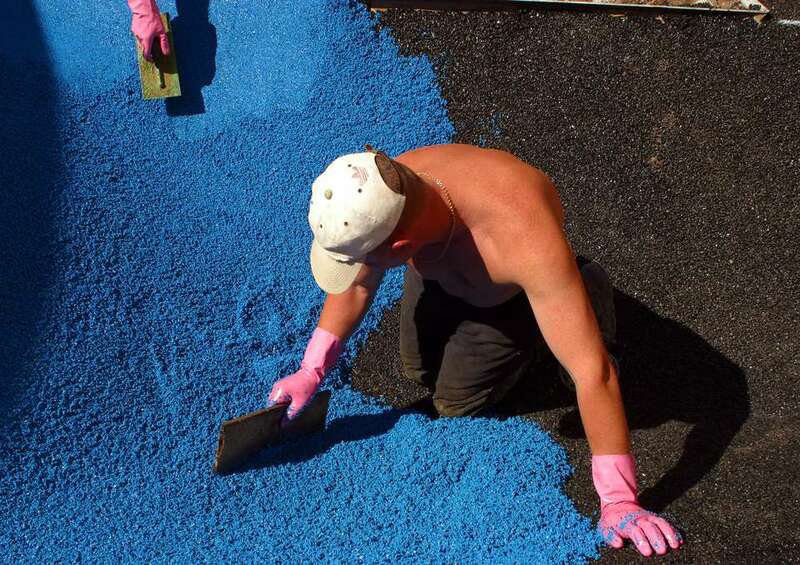 Rubber mulch is commonly used, for safety reasons, in areas where children play. The idea is that kids will "bounce" off of it when they fall down, making it safer than other materials. It also boasts other good qualities, prompting a spread in its use from play areas to the wider landscape, including gardens. But is it safe to use around plants? Rubber mulch (the type sometimes used in playgrounds) can be very appealing to certain types of gardeners. Like crushed stone, it's long-lasting; unlike crushed stone, you can buy it in all sorts of wild colors, such as teal! But aesthetics aside, is this type of mulch suitable for use in the landscape? Is it safe to use around plants? I'm not a chemist, so I won't attempt to provide you with a definitive answer on how safe rubber mulch is for plants (even less does this piece address the issue of whether the product is safe for use in playgrounds). But what I will do is bring together a couple of resources that express skepticism regarding the use of rubber mulch in the landscape. My objective in doing so is to spur you on to begin researching this type of mulch (which is a recycled product that comes from tires) for yourself. At the very least, a healthy skepticism regarding its use around edible plants would seem to be in order. It doesn't wash away in rainstorms. It may be harmful to plants. Expanding on this last point, Fletcher writes that "Rufus L. Chaney, an environmental chemist at the U.S.D.A. Agricultural Research Service, says that his research shows that small amounts of zinc in rubber will leach into soil over time." The resulting "chemical overload" could kill plants. It "is not as effective" as organic choices (such as wood bark) for weed control. It "is highly flammable and difficult to extinguish once it is burning." It "is not permanent;" rather, like organic choices, it does decompose. It "is not non-toxic; it contains a number of metal and organic contaminants with known environmental and/or human health effects." Again, I am not a chemist. I am not here to scare you, but to alert you to questions about the safety of this product before you purchase it. In the end, we all have to go with our gut feelings on questions about whether such-and-such is safe. But even the "gut" needs some input to base its decisions on, doesn't it? Is Dyed Mulch Safe to Use? Are You a Fan or Foe of Red-Colored Mulch? Is a Dyed Bark Mulch Harmful to Plants? What Are Some Rabbit-Proof Flowers? Should I Mulch My Garden in Fall?